Product #16070 | SKU THE POP | 0.0 (no ratings yet) Thanks for your rating! 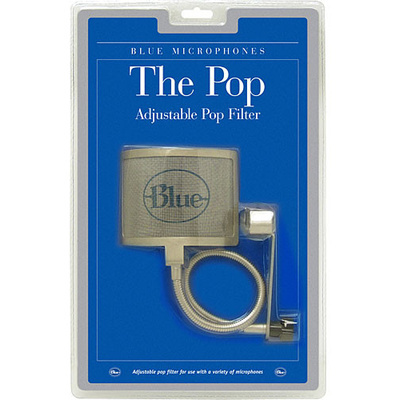 "The Pop" by Blue is a universal windscreen that features sturdy wire mesh construction. It provides sufficient protection against noise caused by sibilance and plosive "p" and "b" sounds. With slight modification, The Pop can also be mounted to the frame of a Yeti or Yeti Pro.